The professional way to label. 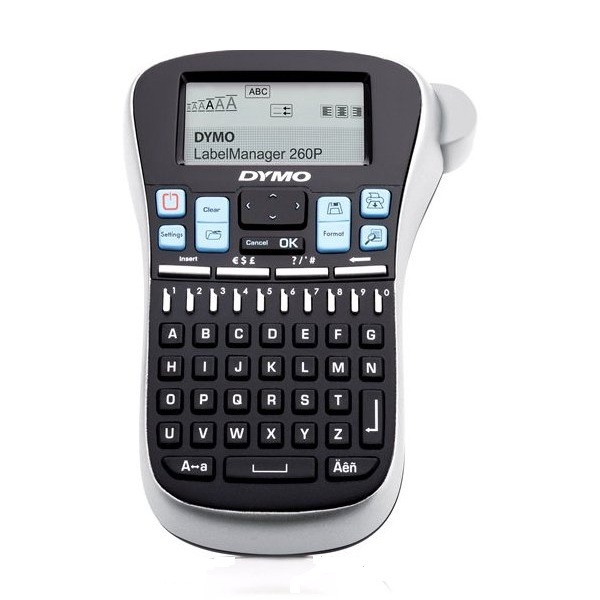 Make a lasting impression every time, with DYMO's full line of leading label printers for office, home, warehouse - wherever business takes you. 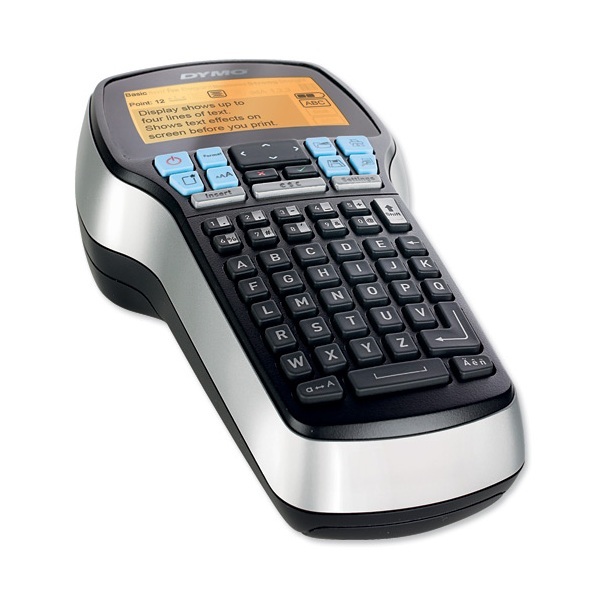 For fast, crisp and clear results, choose from our range of Hand Held and Desktop models. 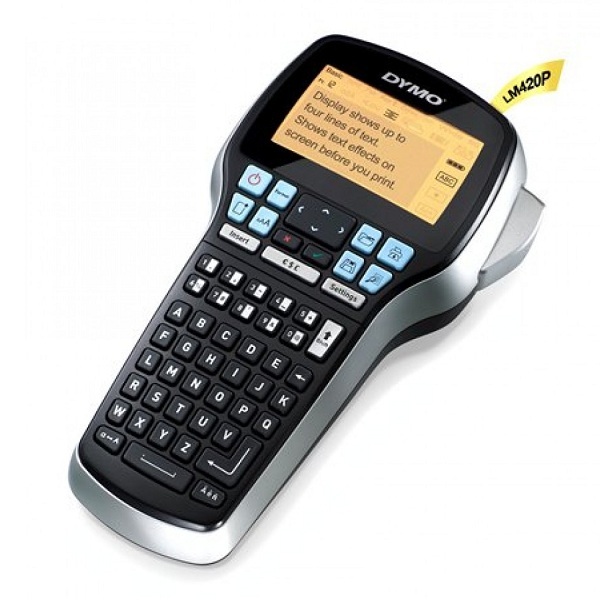 Portable and rechargeable Hand Held Label Maker with an ABC-style keyboard and wide choice of fonts and layout options. Powered by a rechargeable lithium-ion battery - Eliminates the AA battery inconvenience, waste and disposal. Large 30 x 60 mm screen displays two lines of label text. Graphical display lets you see text effects on screen before you print. Prints 3 fonts, 6 character sizes, 7 font styles, 8 boxes and underline. 10 label memory. 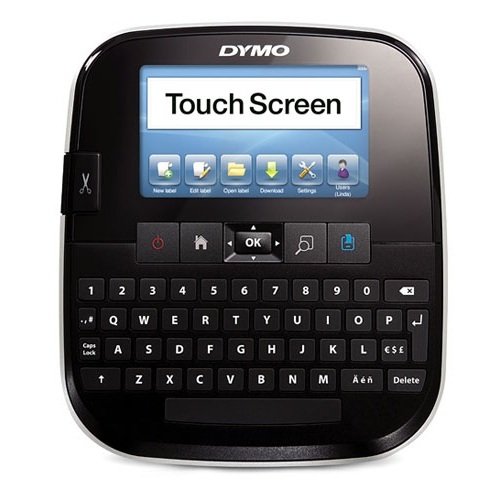 Uses DYMO D1 labels in 6, 9 and 12 mm widths. Includes Lithium-ion battery, charging cable and starter label tape. 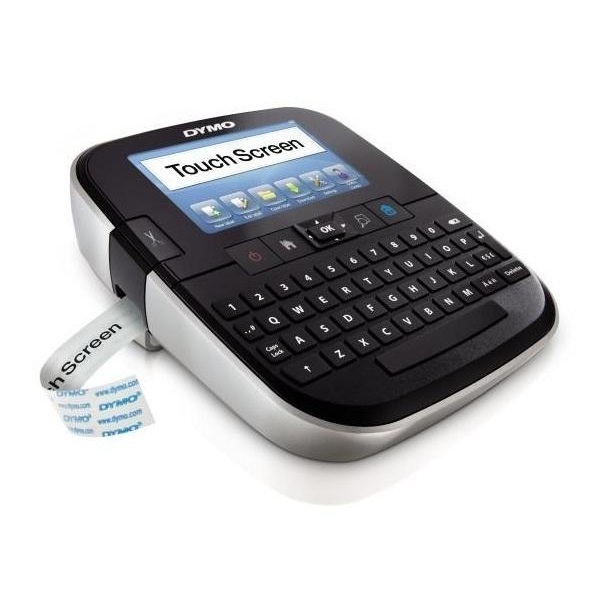 Portable and rechargeable Desktop Label Maker with an QWERTY-style keyboard and wide choice of fonts and layout options. Large 40 x 70 mm screen displays two lines of label text. Graphical display lets you see text effects on screen before you print. Print up to 10 copies of the same label. Prints 3 fonts, 7 character sizes, 7 font styles, 8 boxes and underline. 10 label memory. Uses DYMO D1 labels in 6, 9, 12 and 19 mm widths. 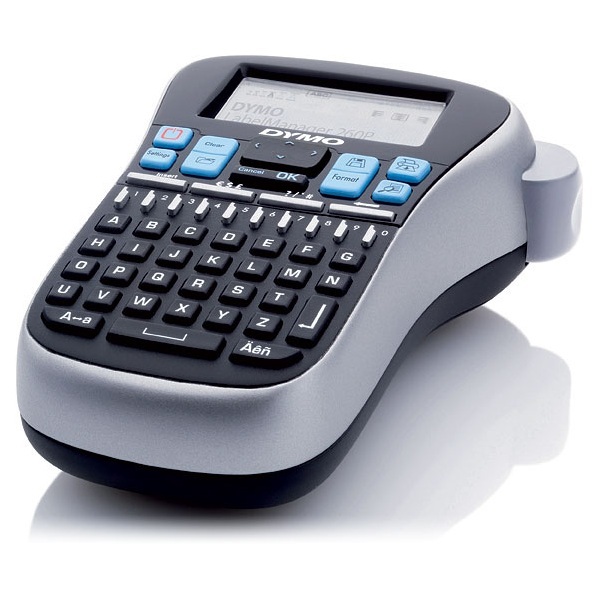 High performance portable Label Maker - Use standalone or connect via USB to PC or Mac. Large 4-line backlit display. Graphical display lets you see text effects on screen before you print. Prints 8 fonts, 7 font sizes, 10 text styles, 8 boxes and underline. ABC-style keyboard. 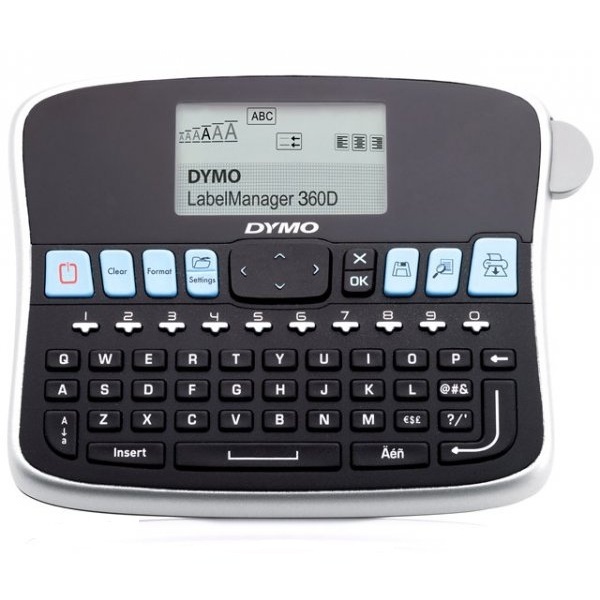 Portable Plug and Play Label Maker for PC or Mac. Connect via USB - No software to install - Just plug in, type and print! Lithium-ion battery recharges via USB connection - no power adaptor or AA batteries needed. Built-in software pops up on your computer screen, ready to use. 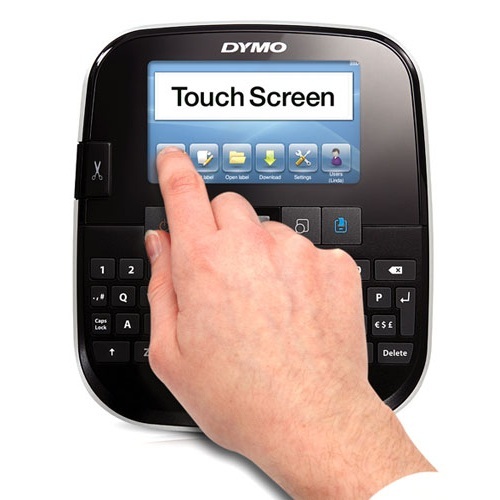 The first stand alone office Touch Screen Label Maker from DYMO® and twice as fast! Prints 10 fonts, 25 font sizes, 32 text styles, 5 boxes and underline and 325 built-in symbols and clip-art images. QWERTY-style keyboard. 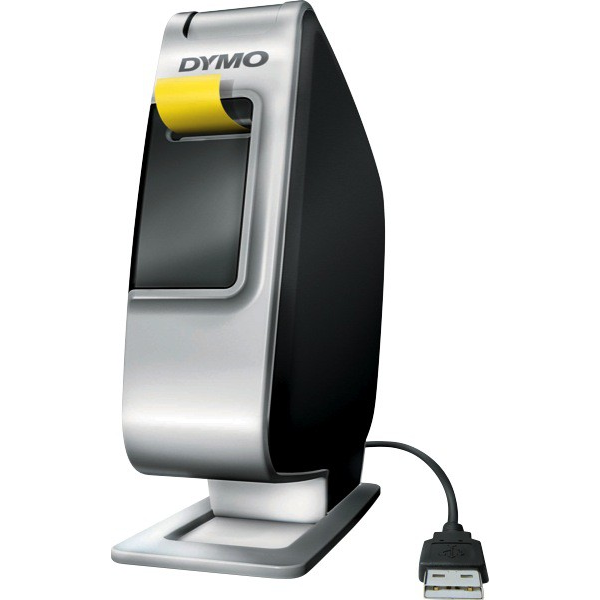 Uses DYMO D1 labels in 6, 9, 12, 19 and 24 mm widths. 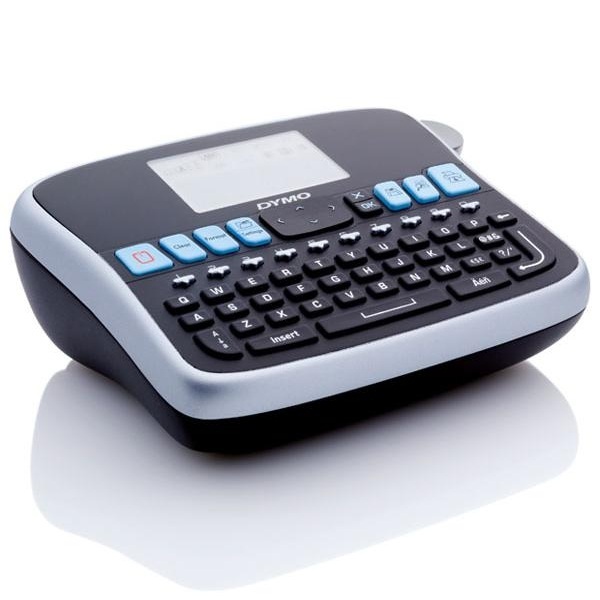 Includes Lithium-ion battery, USB cable and starter label tape.